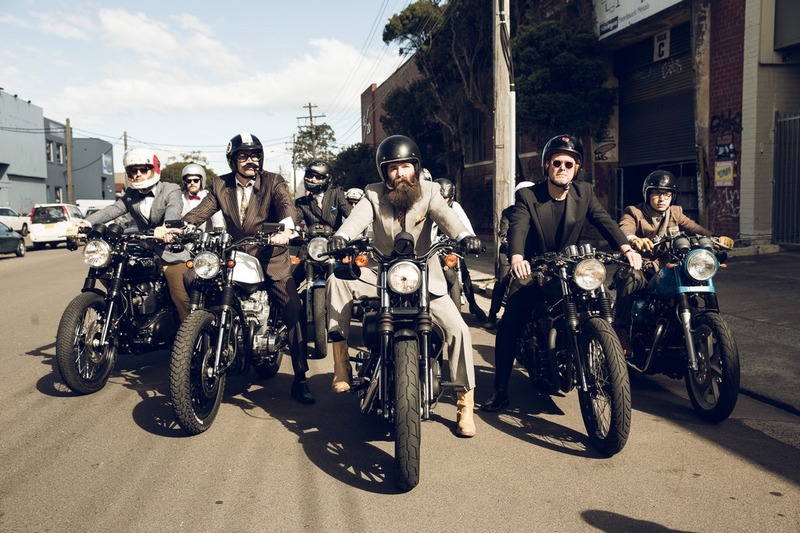 27th September 2015 – A global classic styled motorcycle event that raises money for prostate cancer medical research. 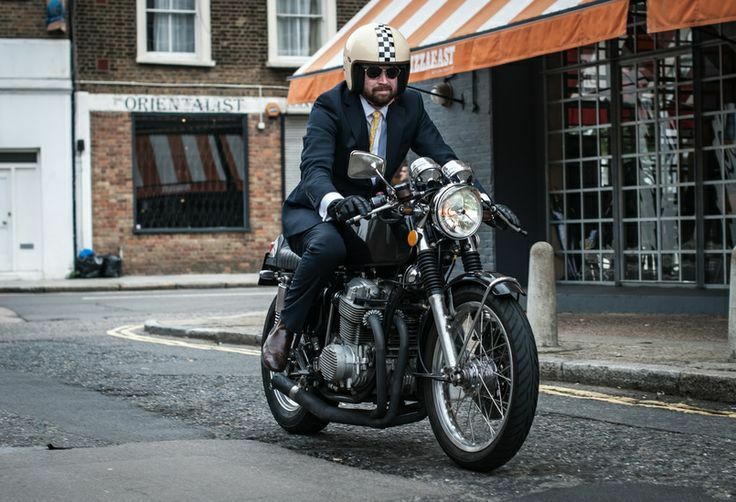 To raise awareness and support research into Men’s Health by bringing together dapper riders of classic machines, Cafe Racers, Bobbers, Custom motorcycles, Trackers and undefinable two-wheeled creations. 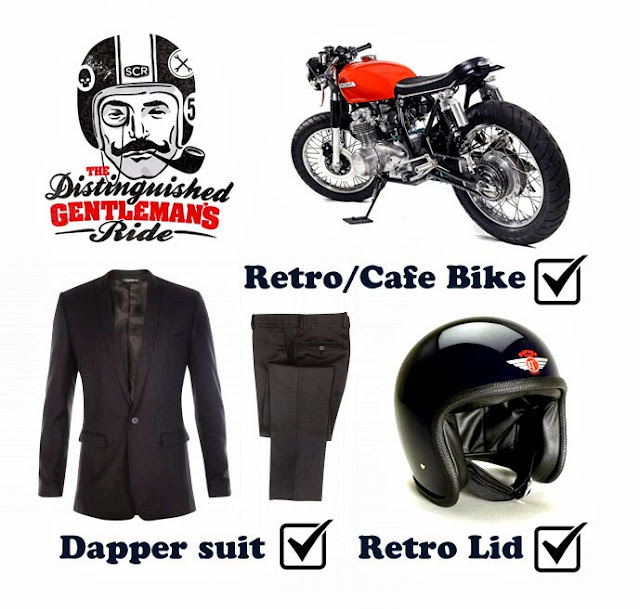 27th September 2015 – A global classic styled motorcycle event that raises money for prostate cancer medical research. OK, here we go, the clock is ticking and, this year I am looking forward to attend this ride and hope that you too grab your Dapper clothing, stick on your old style Skid lid and sling your leg over your Cafe, Bobber, Brat, Tracker, Classic Motorcycle and meet up with us for this fun and epic adventure that is sure to make even the Mona Lisa Smile. plus, anything to do with prostate Cancer research is always something I would support, this ride begins the same day , All over the world, so be part of a Historic ride and just have fun! This will be a really good fun ride and a chance to meet other like minded folk who ride two wheels like us. I have no idea what I am going to wear but will give it a go and am sure i will have a laugh doing this. It is great to be able to have an event where you can just enjoy the day with no hang ups and also that many other people will be there dressed just as crazy as you. So remember the date and come out on this fun day with your Motorcycle, I know that you will love it. 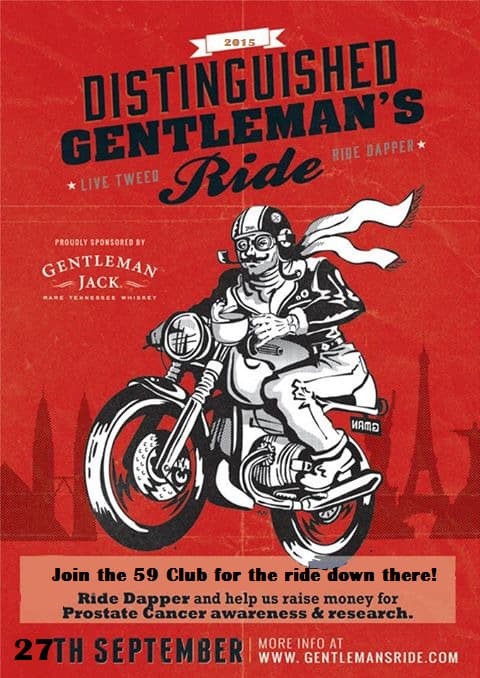 Distinguished Gentleman’s Ride 2015 will take place on September 27 th all over the world. As soon as I am given the details where to meet up, i shall post them on this blog, so keep checking back and support a great Cause! This entry was posted in Blog and tagged 59 club, ace cafe, Adventure, bmw, bonneville, BSA, bultaco'Norton, Cancer research, classic, Dapper, harley, Honda, Indian, kawasaki, Laverda, matchless, motorcycle event, ossa, retro, rockers, suzuki, thruxton, thunderbird, ton up, triumph, velocette.